A character poster for the director of the movie. That is an … interesting approach. Or depending on who actually pushed for it, an interestingly megalomaniacal approach. 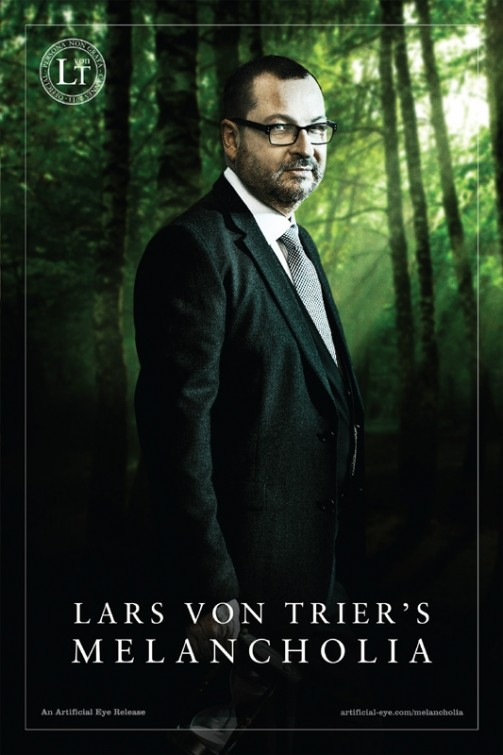 It’s true that Von Trier is probably the main attraction in this movie, at least to the movie obsessed audience (as opposed to the “let’s see what’s playing, oh, a movie with Kirsten Dunst, I liked her in Spider-Man!” audience. And oh boy is this particular audience in for a rough time at the movies) . So, it’s not crazy to shine the spotlight on him. But I have followed the guy’s work for some time now, and up until today I had no idea what he looked like, so I’m not sure how much mileage you get from using his face. I guess It’s probably an alright idea for a series of posters like this. 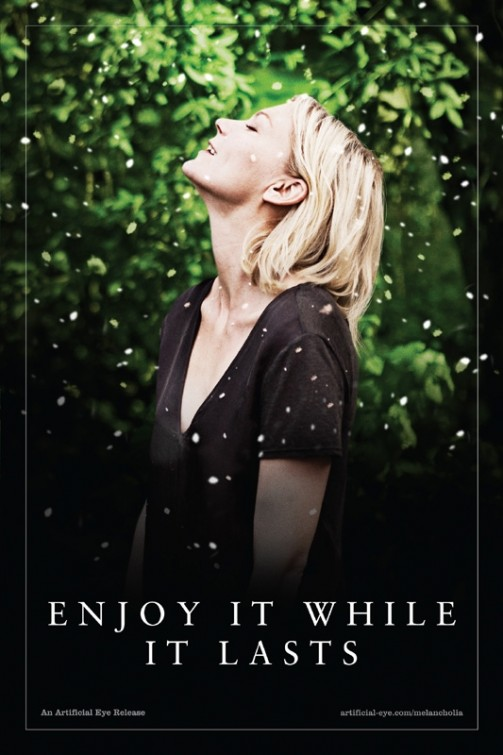 Looking at the other character posters, I liked the interplay between the “Enjoy It While It Lasts” and the “Melancholia Is Coming” taglines. Only works if you are seeing several of the posters at the same time, but when you do, it carries some punch. Whilst yes he is an interesting and daring/provocative director… for me his best movie period is (I believe it’s his 1st) Breaking the Waves. 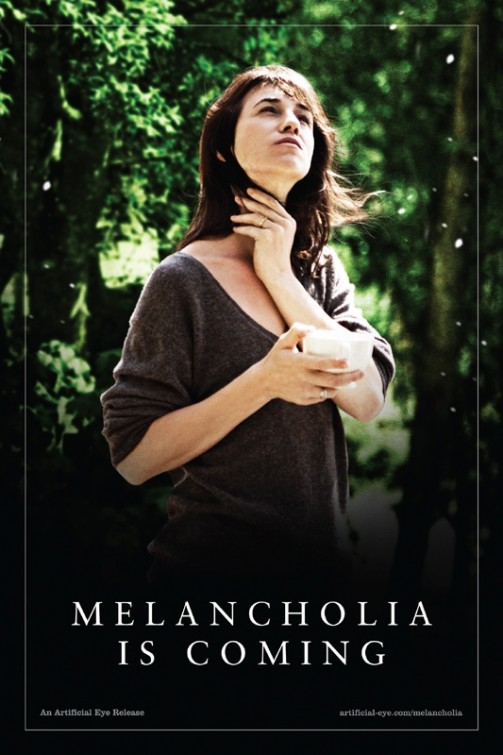 That is one brilliantly sad and yet uplifting film. Nice posters! I haven’t seen them when I saw the picture. The Kirsten Dunst’s one it’s great! Nice site, by the way. i’ll come more often. If more people looked at movies like this as you do the world would be a better place. Most people just gloss over these points, but you really bring them to light.